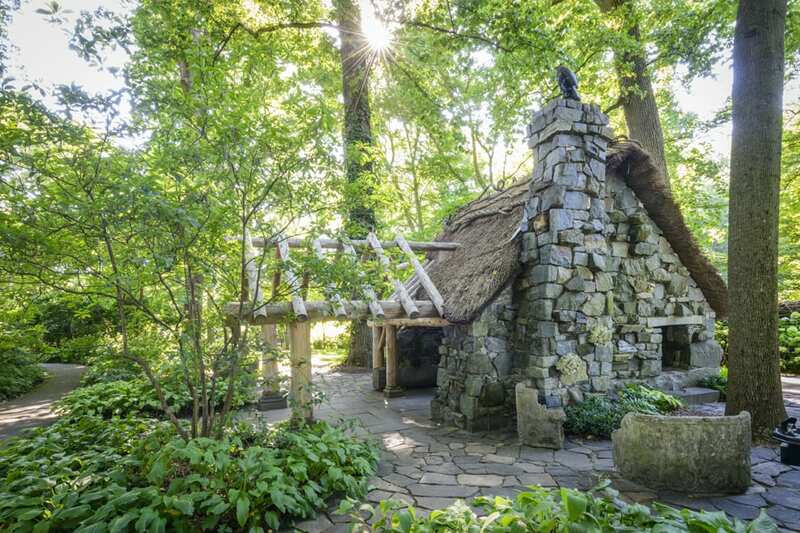 Discover the magic of a fairy-tale garden with a visit to Enchanted Woods, a unique children's garden at Winterthur. In a three-acre plot of the Winterthur Garden, the fairy folk created a magical landscape for children of all ages! Canopied by majestic oak trees, Enchanted Woods has been taken over by the woodland fairies who live here and is transformed into a place of enchantment, mystery, and discovery. From the Tulip Tree House to the Faerie Cottage, children will find a new world to explore.